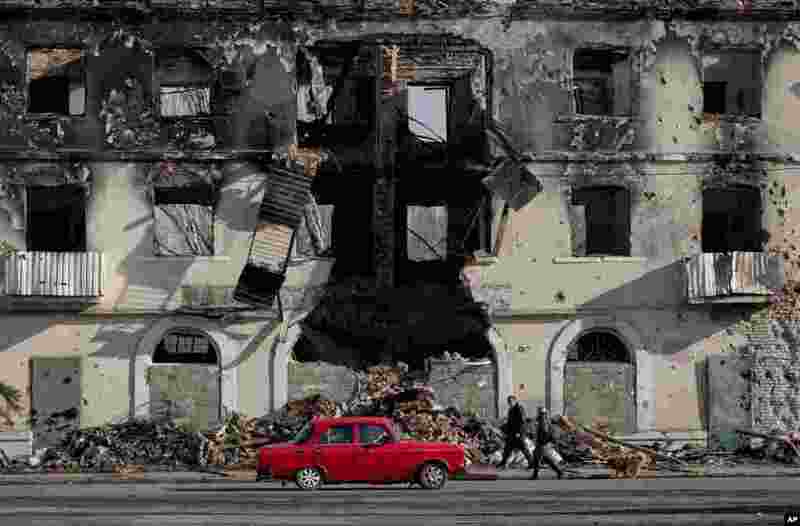 ۵ People pass by a destroyed building in Vuhlehirsk, Ukraine. 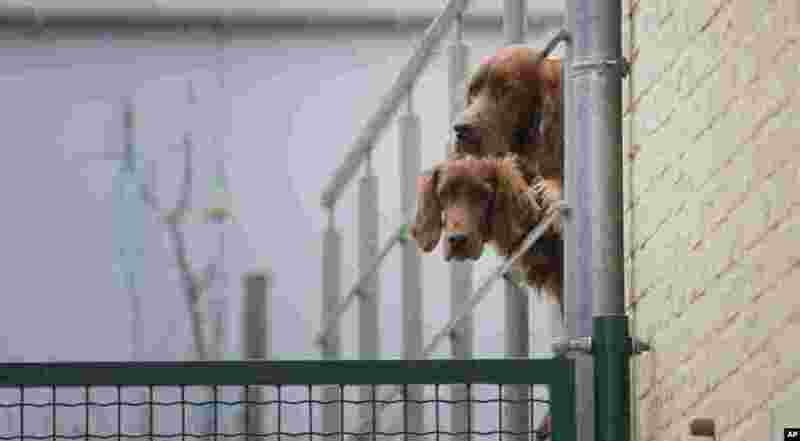 ۶ Two Irish Setters look out from an enclosure in Lauw, Belgium. 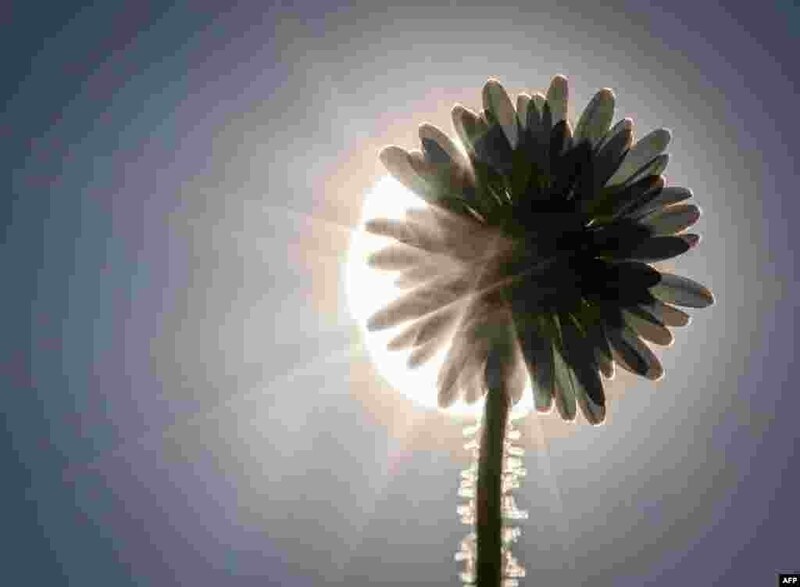 ۷ Sun shines through the petals of a daisy in Frankfurt am Main, western Germany. 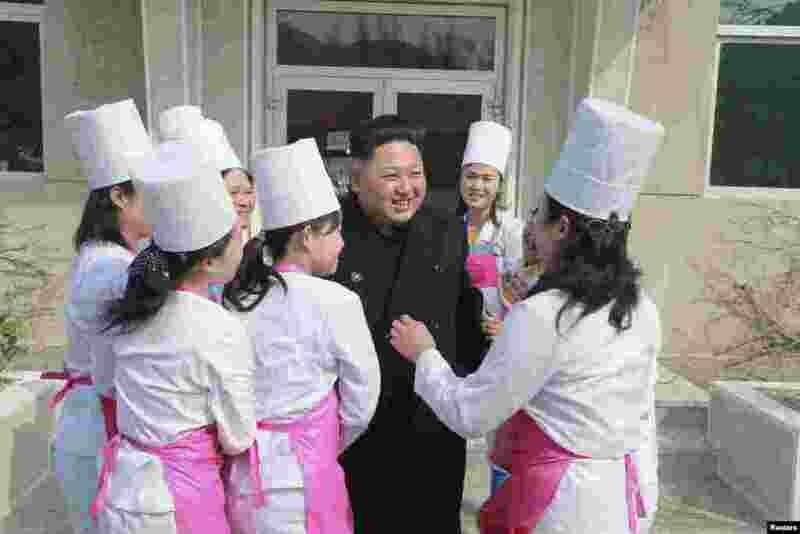 ۸ North Korean leader Kim Jong Un smiles during his inspection of Unit 1016 of KPA (Korean People's Army) Air and Anti-Air Force honored with the Title of O Jung Hup-led 7th Regiment, in this undated photo released by North Korea's Korean Central News Agency in Pyongyang.